Familiar neighborhood face, Christine Consolmagno with a group of hard working volunteers continually keep the parish food pantry going strong. 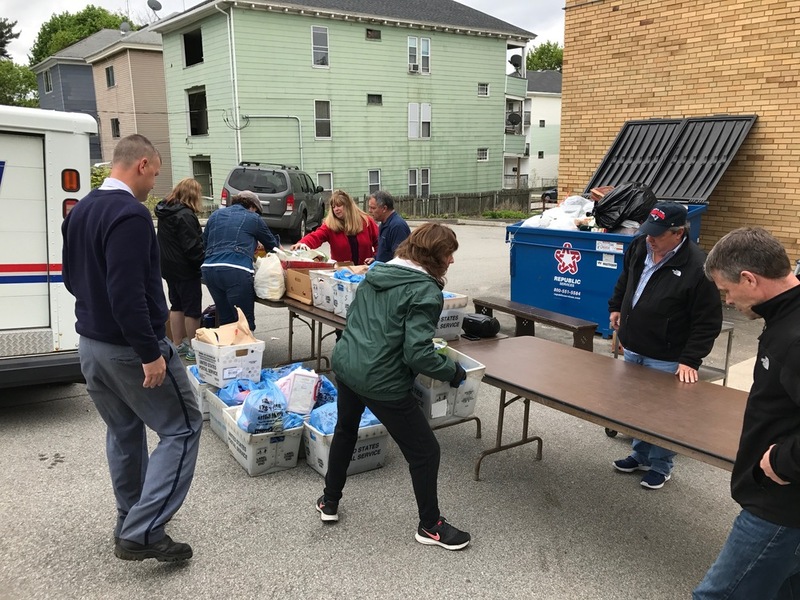 St. Bernard’s food pantry assists families who need supplemental support to ensure they are able to provide nutritional meals for their loved ones. The food pantry is open the second and fourth Monday of the month at 5:15-6:00 pm. The food pantry is located in the second floor of the gym and access is through Harlow St. entrance. If you are in need of food at any time please don’t hesitate to reach out to the parish office. Donations are always welcomed to be dropped off in the collection basket in the entrance of the Church. Some Items that we continually use : pasta, sauce, soup, cereal, canned pasta, rice, mac and cheese...etc.